Super Classic Strings are perfect in octaves and sensitive. They produce a clear and pure sound, rich in overtones, respond easily, keep their tuning and are comfortable to play. The sound is perfect in any position. The inherent stiffness of a string hinders ease and comfort and also restricts it's vibratory qualities. 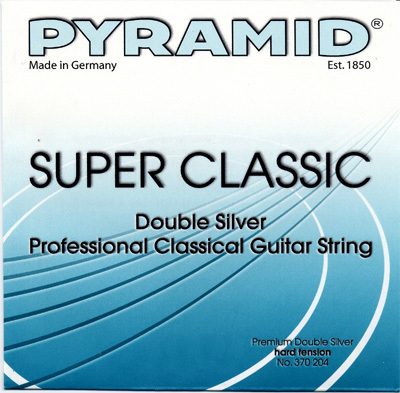 Compared to the normal guitar string, Pyramid has been able to decrease the stiffness with the Super Classics.